These photographs were taken by Scott Clayton on 9th May 2017 from Pickerings Pasture. 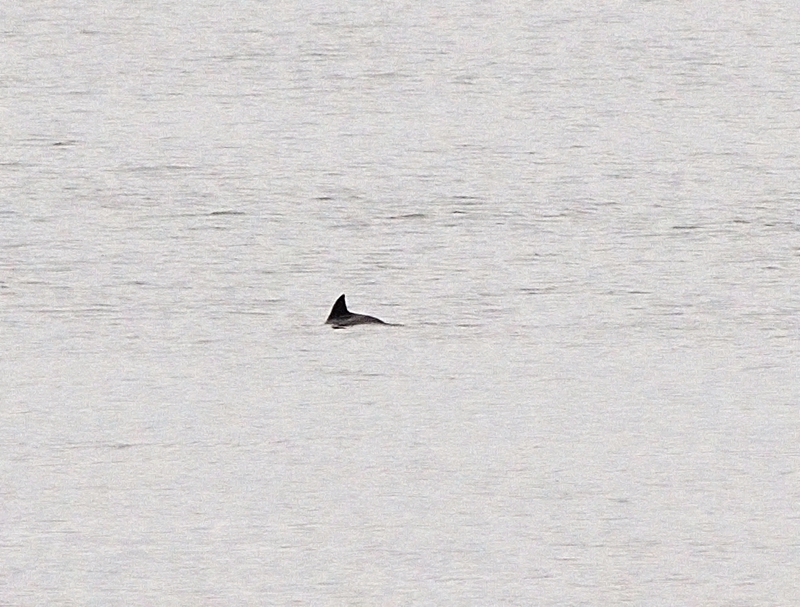 He watch the porpoise for over an hour. ​Thanks for the excellent photos. 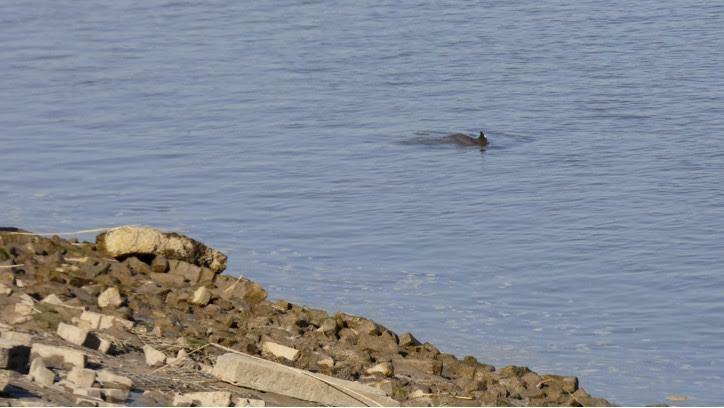 A harbour porpoise was stranded at Pickerings Pasture on 26th October 2016. 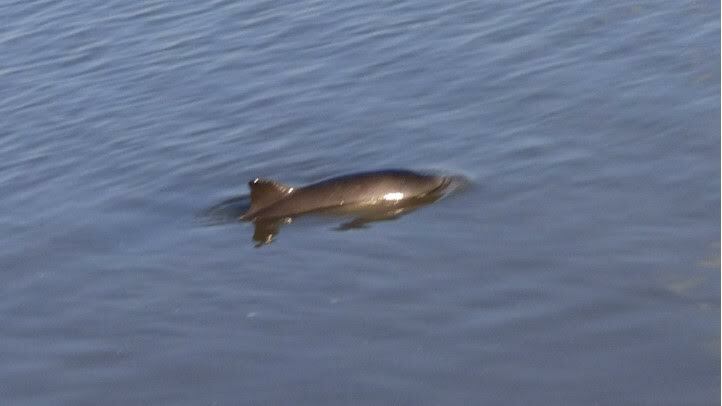 For further details see: http://www.thefriendsofpickeringspasture.org.uk/harbour-porpoise-updated.html. I'm an amateur photographer whose main interest is taking pictures of ships sailing up and down the Mersey - mostly from the Wirral side where I live. Very occasionally, I come across other interesting sights and events. Yesterday, I saw and photographed what I thought at the time might have been dolphins, but having reviewed the photos, look more like porpoises. There was definitely an adult and a smaller baby, plus probably a second adult - although I could not be certain of this, as on no occasion did all three surface simultaneously. The light quality was mediocre and they were a long way off - mid river between the upper car park of Eastham country park where I was shooting from and Grassendale - Otterspool - so I guess, about a mile away. The first photo is full size to provide a sense of overall scale and the remainder cropped to provide a closer view. 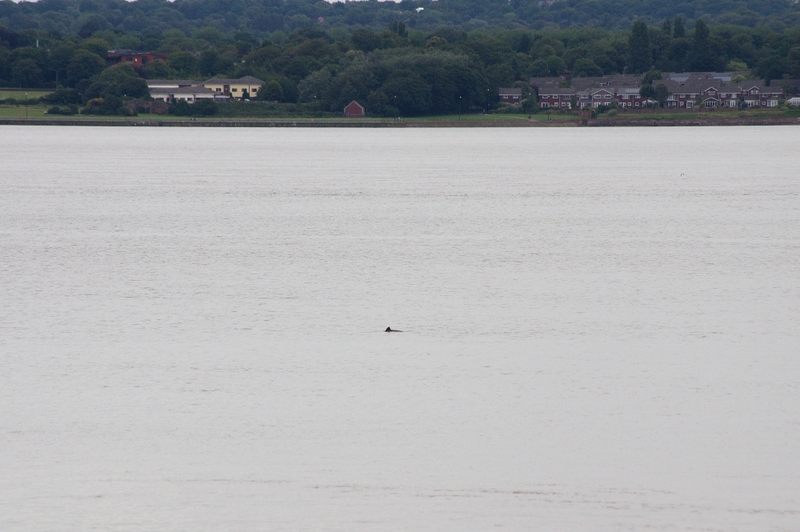 It was close to being high tide and they were moving at a very leisurely pace down river. 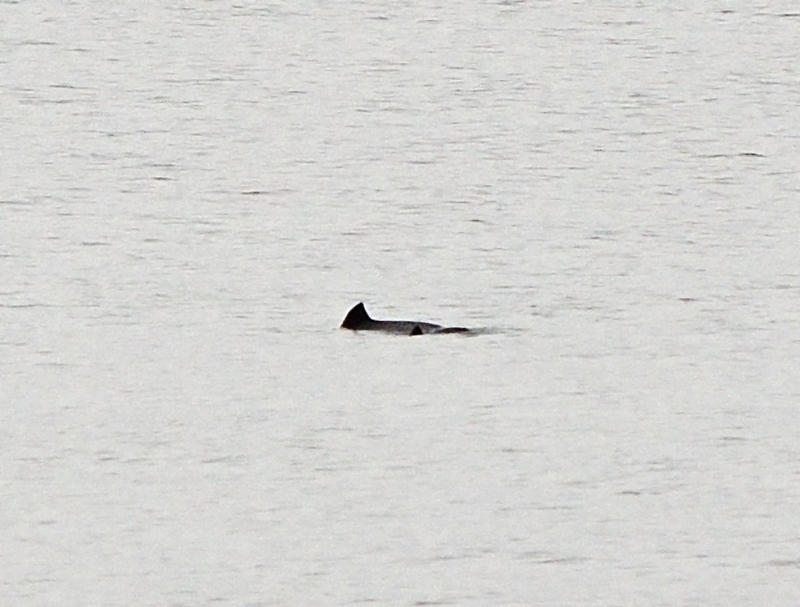 I hope these are of interest - I'm out and about most days, and this is the first time I've seen porpoises - seals being slightly more common of which I guess I get a couple of sightings every summer. Thanks to Neil for his excellent shots.